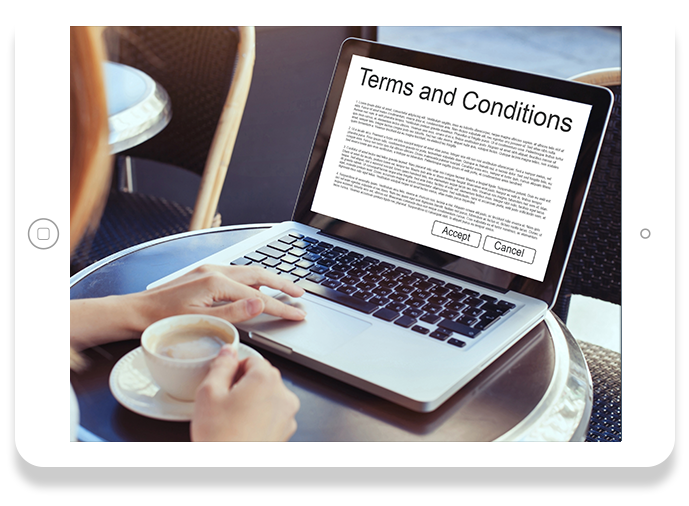 Please scroll down to read the terms and conditions for USA International Data, Inc.
USA International Data, its subsidiaries and affiliates (“USA International Data”) requires that all visitors to our Websites adhere to the following rules and regulations. By accessing the Website(s) you indicate your acknowledgement and acceptance of these terms and of use. The trademarks, logos, and service marks displayed on this Website are the property of USA International Data. All content and otherwise protectable features of our Websites, including but not limited to any names, logos, trademarks, service marks, brand identities, characters, trade names, graphics, designs, copyrights, trade dress, or other intellectual property appearing on our Websites, including the organization, compilation, look and feel, illustrations, artwork, videos, music, software, and other works on the Website (“Content”) are owned by USA International Data or used under a license from a third party owner, and are protected under copyright, and trademark laws. The content and all other information and materials contained in the websites, including text, graphics, links, or other items, are provided “as is” and “as available”. Usa international data does not warrant the accuracy, adequacy, or completeness of this information and materials and expressly disclaims liability for errors or omissions in this information and materials. The documents and related graphics published on the websites could contain technical inaccuracies or typographical errors. No warranty of any kind, implied, expressed or statutory, including but not limited to, the warranties of non-infringement of third-party rights, title, merchantability, fitness for a particular purpose, and freedom from computer virus, is given in conjunction with the information and materials. Usa international data shall have no liability or responsibility for any errors or omissions in the content on the websites. Usa international data does not warrant that the websites are compatible with your equipment or that the content is free from errors, viruses, worms, trojan horses, or any other harmful, invasive, or corrupted files, or that the websites will be uninterrupted, secure, or error-free. Usa international data is not liable for any damages you may suffer as a result of such destructive features. Should applicable law not permit the foregoing exclusion of express or implied warranties, then usa international data hereby grants the minimum express or implied warranty required by such applicable law. No advice or information, whether oral or written, obtained by you from usa international data, its employees, agents, suppliers, or any other persons shall create any warranty, representation, or guarantee not expressly stated in this section. USA International Data may monitor postings on our Website and may decline to accept and may remove any postings that contain; (a) Any unlawful, harmful, threatening, abusive, harassing, defamatory, vulgar, obscene, profane, hateful, racially, ethnically or otherwise objectionable material of any kind, including, but not limited to, any material which encourages or contributes to a criminal offense, gives rise to civil liability or otherwise violates any applicable local, state, or federal law; (b) Advertisements or solicitations of any kind (c) Messages posted by users impersonating others. ; (d) Personal information such as social security numbers, account numbers, addresses or employer references; (e) Messages that offer unauthorized downloads of any copyrighted or private information; (f) Chain letters of any kind.